1 gummy tablet daily between 2-3 years of age. 2 gummy tablets daily over 4 years and for adults. While in March we often contend with snow, the weather can often change suddenly and in April we find ourselves in spring. This tendency for sudden weather changes places great demands on our body, especially if we stop vitamin supplementation as winter ends. Another thing to remember is that the vitamin content of food products is by far not what it used to be and, what is worse, the fruits and vegetables we put on our tables lose much of their nutrient content during transportation, storage and cooking. Unfortunately, our fast-paced lifestyle impacts both our own and our children’s health. It is especially important that we ensure the necessary vitamins, minerals and trace elements for the development of our children because if their supply is too low for an extended period, the symptoms of general vitamin deficiency may easily develop. This will make children fatigable, they may lose their appetite and concentration and perform less well at school, while they may also contract diseases more easily. But what happens if our children refuse healthy food and even the boring and bad-tasting vitamin tablets? We were motivated to solve this problem when we created our latest product, our gummy multivitamin for children called Gummy Kids, which can be administered from the age of two. 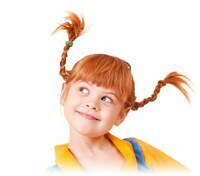 We are sure you will no longer need to cajole your kids into taking vitamins but they will now consume it with pleasure and even demand more. Why? 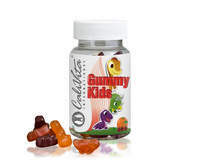 Because Gummy Kids is colourful and tasty and the chewable gummy vitamins have natural cherry, orange and mixed berry flavors and are in the shape of miniature dinosaurs. Naturally, we have paid special attention to ensure that our gummy tablets do not contain artificial colours or flavourings and only the treasures of “nature”. Our multivitamin product ensures the vitamins, minerals and trace elements children need for their balanced development and contributes to their proper resistance. Buy Gummy Kids for your children and remember to taste it yourself. It won’t be easy to resist. The product does not substitute a varied and balanced diet and a healthy lifestyle. Do not exceed the daily recommended quantity. Keep it out of the reach of young children. Keywords: Gummy Kids, Calivita, vitamins for children.